Is Bristol safe for cycles? Spanish "Copa del Rey" in Cardiff? The blog has new merchandise! New: First Bus smartcards coming in 2014? Story: "The Man with the ticket machin in Bristol Zoo"
Story: "A hell of a hunderstorm"
Story: "Two years in the UK"
Story: "When the mongoose hunts"
Will it snow in Bristol? Things that I like of my life in the UK... and things that I don't! St Nicholas Market: situated inside a beautiful Georgian Building in Corn Street, St Nicholas Market is the perfect place to find gifts. 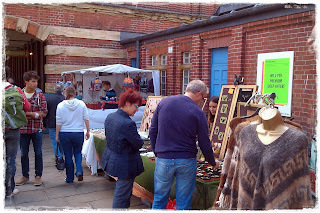 Small stalls sell anything starting from vintage clothes to latest fashions, from jewellery to fossils. (9.30am-5pm). Additionally every Wednesday, Corn and Wine Streets held the Bristol Farmers Market between 9.30am and 2.30pm. Fishponds Farmers Market: taking place second Thursday of every month and located in Fishponds Park, you can find juices, mineral waters, jams and spreads, baked goods, fresh fruit, vegetables, meat, fish and much more in Fishponds Farmers Market (9am-1pm). Bearpit Market: Under the roundabout in Cabot Circus, joining Stokes Croft to the City Centre, there is an alternative market. Food, jewellery, make up and flowers as well as live music can be found in this unusual market. St Nicholas Market: situated inside a beautiful Georgian Building in Corn Street, St Nicholas Market is the perfect place to find gifts. 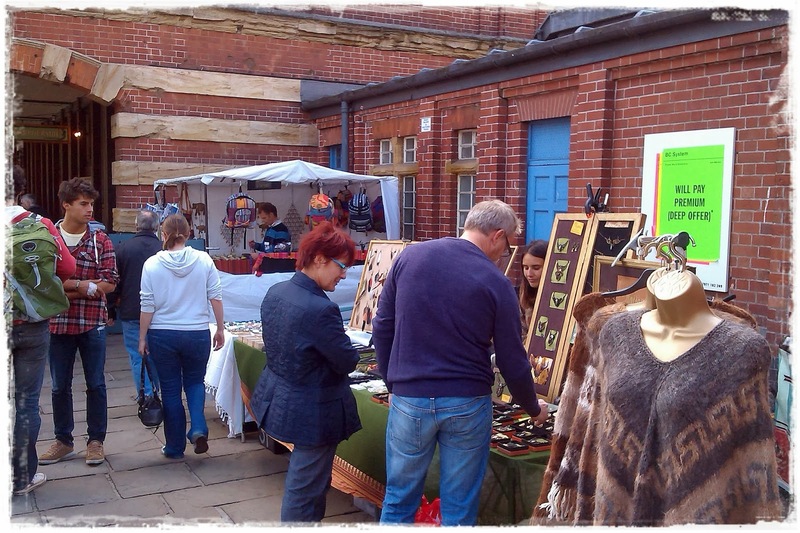 Small stalls sell anything starting from vintage clothes to latest fashions, from jewellery to fossils. (9.30am-5pm). Additionally every Friday and Saturday, Corn and Wine Street fill with stalls where original artwork, handmade jewellery, vintage clothes and photography are sold between 10am and 5pm. 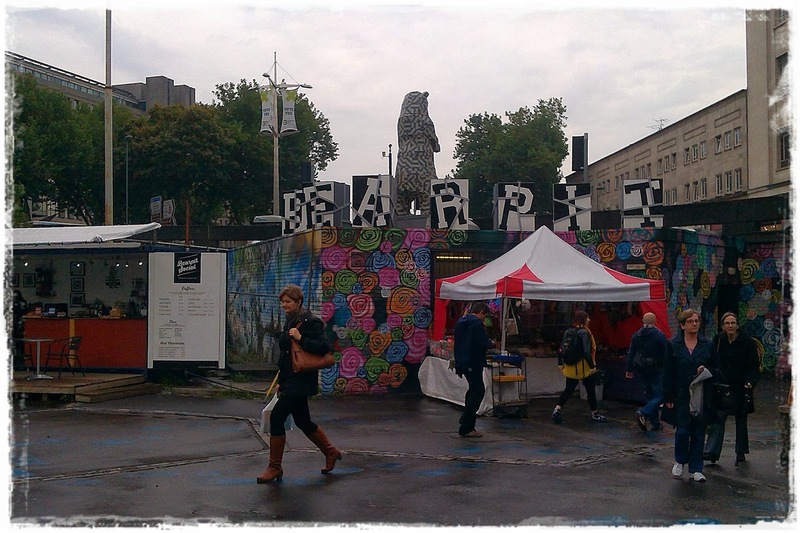 Bristol Flea Market: Bristol Flea Market is held twice a month, one in Ashton Gate and the other one in County Ground. Check the dates at the website and enjoy the 150 stalls of antiques, collectables, furnishing,... The market is open between 9am and 3.30pm and the entrance is 2 pounds. www.bristolfleamarket.co.uk/. If you want to read about my own visit to the Flea Market, click here. Inner Zone, Outer Zone... Bristol First Bus fares change! TEDxBristol has NOT been a failure! Let me tell you a story, Bristol! THE PRSC BLOG HAS MOVED!